Pen drawings in a manuscript copy of the story 'Sarina. A Javanese woman' show a piano. But what is a piano doing on Java? Following the closure of the library of the Royal Institute for the Tropics (Amsterdam), the management of their Colonial Collection has been transferred to the Leiden University Libraries on 12 December 2013. This has increased the Leiden collections with nearly 25,000 titles, almost a mile of shelving space. The collection also contains c. 500 manuscripts, all of which have been checked and their bibliographic records updated if necessary. One of these manuscripts is Br RG-25. It contains three stories, copied by hand in the 1960s, such as 'Sarina. 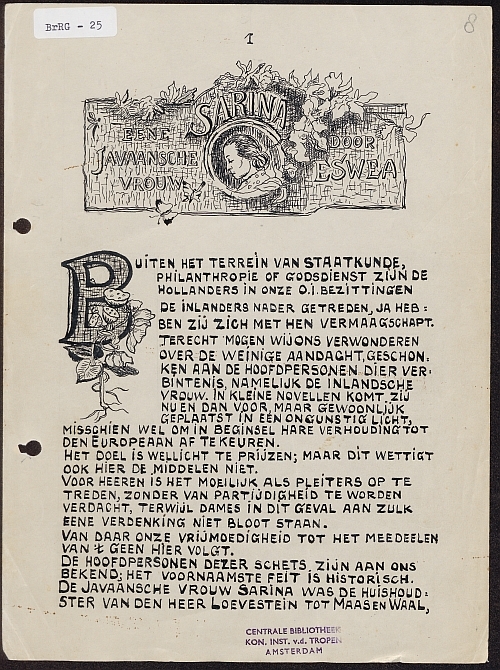 Eene Javaansche vrouw' (‘Sarina. A Javanese woman’) by ‘Eswea’. 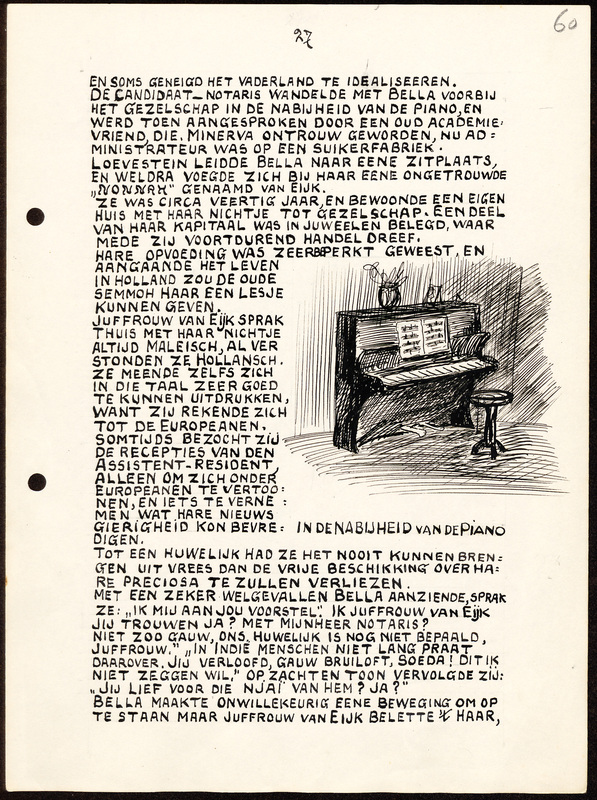 It features a Javanese housekeeper and her imminent marriage to her ‘European’ employer, Mr Loevestein tot Maas en Waal, and her possible departure for the Netherlands.